This piece is part of MLBTR’s 2017-18 Offseason In Review series. Click here to read the other completed reviews from around the league. Following their fifth consecutive losing season, the Phillies added some talented veteran pieces to supplement an exciting young core. While they’re far from a perfect ballclub, their winter moves have likely shortened their rebuilding period. It’s been a trying half-decade for the Phillies fan base. After being spoiled by nine consecutive winning seasons (including a World Series championship), they’ve watched their beloved ballclub limp to .500 or worse finishes in each of the six years since 2012, including a 66-96 record in 2017. Perhaps the front office had begun to feel pressure to put a winning product on the field, or perhaps the timing was just right; either way, GM Matt Klentak and crew made a couple of surprising headliner moves worth being excited about. Four free agent acquisitions served to add about $65MM to the 2018 payroll. While that may seem like a lot for a team that still looked to be in rebuild mode, the Phillies only had about $30MM on the books before those moves. For a ballclub that routinely spent $138MM or more on player salaries between 2010 and 2015, it’s almost as though they had to spend that money on at least something. In fact, Philadelphia would have opened the season with its lowest payroll since 2002 (!!) had it not been for the last-minute signing of Arrieta. For reference, that’s before Ryan Howard and Chase Utley had even reached the major leagues. One could say that the Phillies addressed a need simply by avoiding a controversially-low spend level at the season’s outset. That said, it’s fair to wonder how much the 32-year-old righty moves the needle for the Phillies now or in the future. In spite of a hot start, the Phillies don’t seem particularly likely to keep up with the Mets or Nationals all season. Furthermore, Arrieta has exhibited a steady decline since his otherwordly 2015 Cy Young campaign and doesn’t look likely to deliver value on the $45MM he’s owed from 2019-2020. It’s even conceivable that the Phillies could consider flipping him this summer if he’s outperforming the rest of the roster, in essence flexing their financial muscle in order to add more MLB-ready (or MLB-adjacent) young talent, though that’d mean opening another near-future rotation hole. Regardless, the additions of Arrieta and first baseman Santana allow the Phillies to put a competitive team on the field for the first time in many years. The additions of Hunter and Neshek came at a premium annual price tag but will bring veteran depth to an otherwise youthful relief unit. While they’re still far from a complete club, the Phillies have patched a few holes and given the fans more reason to come to the ballpark. More importantly, they avoided committing to lengthy contracts in making these improvements. Santana and Arrieta are only on the books for three years, meaning if either contract goes bad, it won’t necessarily detract from the club’s next contention window in a major way. Interestingly enough, it’s almost as though Klentak and co. did just enough this offseason to show Phillies fans a clear light at the end of the tunnel without limiting their flexibility to spend big in the coming years. Not to be lost on Phillies fans was a subtle move the franchise made to pave the way for shortstop prospect J.P. Crawford. The trade of Galvis to the Padres allows Crawford everyday playing time; it also cleared an unnecessary salary obligation while adding an intriguing young pitcher to the farm system in Enyel De Los Santos. While the 22-year-old right-hander didn’t seem to be an especially exciting addition at the time of the swap, his hot start in Triple-A has opened some eyes already by striking out a whopping 22 batters in 13.2 innings (three starts) en route to a 1.98 ERA. The club filled its managerial opening with Gabe Kapler, whose only managerial experience was a year with the Red Sox A-ball affiliate. His greenhorn status showed early on in the season with some questionable pitching management, which he responded to responsibly by drawing up a few bullpen usage guidelines. A string of positive outcomes has re-focused the attention on the more promising aspects of Kapler’s non-traditional approach to his new job, which will surely be examined closely all year long. The Phillies also placed a strong bet on the talent of Scott Kingery, signing him to a six-year, $24MM extension that allowed the club to promote him for opening day without worrying about service time considerations. 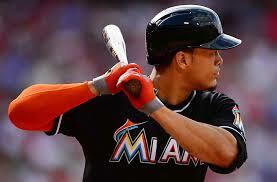 Primarily a second baseman by trade, he’ll play all over the field for the time being. He’s one of just two players ever to ink a contract extension before ever playing a day in the major leagues (Phillies brass will hope he pans out better than Jon Singleton), and a triad of club options can keep him in Philadelphia through 2026 for an annual average of $14MM if they’re all exercised. The bold move allows the club to gain cost control over a high-ceiling player during years when they’re a strong bet to be competitive, and indeed helps extend that control through a few would-be free agent seasons without a pricey commitment. If there’s an arguable shortcoming in Philadelphia’s offseason efforts, it could be that the club was not able to extend club control over more of their young core. There’s certainly a lot of variability in the extension process; a player has to be willing to get a deal done, after all. But while it’s not known exactly how much effort the club made to lock up players like Aaron Nola, Rhys Hoskins, Nick Williams or Jorge Alfaro, it’s a bit disappointing that they weren’t able to get more pacts hammered out. On the other hand, there was no real urgency to get a deal done, particularly for the latter three, and the front office may prefer to see how things play out in some cases. While the Kingery deal has a lot of financial upside and was certainly an exciting maneuver, it’s certainly not the norm for a club to hand out long-term pacts to players with less than a year of service time. The more interesting aspect of the terrain ahead for the Phillies is how they’ve set themselves up for the coming offseason. As I mentioned above, they’ve subtly managed to add headliner free agent talent without limiting impacting flexibility for their long-term future. That means they’re still potentially in play for names like Manny Machado, Bryce Harper, Dallas Keuchel, Patrick Corbin, Craig Kimbrel, and Clayton Kershaw in the coming winter, all of whom could significantly move the needle during their impending competitive window. In the near term, though, the most interesting subject of note is how the Phillies will proceed with players such as Maikel Franco. Kingery’s already received 57 defensive innings at third base, and although that’s only about six games’ worth of playing time, it comes out to nearly a third of the young season. At the time of the extension, the Kingery deal seemed to spell doom for fellow infielder Cesar Hernandez, but as he’s off to a roaring start with a .431 on-base percentage in 102 plate appearances, it looks like Franco (who has a career .300 OBP in over 1,700 career PA) could be the one whose job is in jeopardy over the long run. While the overall depth and quality of the MLB roster looks much better than it did this time last year, it’ll also take quite a few positive developments to allow sustained contention. Talented young players such as Crawford, Williams, Alfaro, Kingery, Andrew Knapp, and Aaron Altherr have yet to fully establish themselves at the game’s highest level. Though all signs point to continued stardom for Rhys Hoskins, he’ll also need to adapt as pitchers focus on ways to retire him while working to improve his defense following a challenging shift to left field. Santana, Crawford, and Odubel Herrera — the team’s best-established position players — will need to play at or near their peak levels if the club’s hot start is to be carried all the way into September. And Kapler will have to perform a delicate balancing act in allocating playing time. The pitching results have been quite promising early, but there’s also uncertainty there. Will Nola and Vince Velasquez stay healthy (and will Jerad Eickhoff return to full strength)? Can Nick Pivetta continue to tamp down on the free passes and sustain his promising start to the year? Will Arrieta continue to outperform his peripherals? And how will the depth hold up once it’s tested? And in the bullpen, which has endured absences from Hunter and Neshek early on, there’s plenty to like but also plenty of risk in a group of youthful arms. Edubray Ramos and Victor Arano have been awfully impressive thus far in 2018, but neither has yet proven capable of dominating over a full MLB campaign. Closer Hector Neris is getting the job done but not exactly dominating. And there has already been some turnover in the middle-relief unit. In the aggregate, the arrow points up in the pitching department, but it’s not hard to see where some cracks could form over the course of a long season. The Phillies’ offseason moves helped put a more competitive team on the field, and the sun appears to be rising on their return to playoff contention. There’s still some fog about the dawn of the new era, though. Plenty of uncertainty surrounds any group of young prospects, and Arrieta and Santana alone as free agent acquisitions can’t guarantee contention. Opportunistic on the FA market, added good relievers, extended young talent, etc. It was a really good offseason after a lot of bad ones. Signing Santana is still bad though. The only reason I didn’t like the Santana signing was because it moved Hoskins out of 1B and then didn’t give full playing time to Altherr, and Williams. But I felt like it was more of the signing that showed that they are ready to spend. Being ready to spend was for next year, not this year on a non-difference maker like Santana. Don’t care if he walks when he’s not a great runner. This was the year to see which kids were ready to take the leap, then sign wherever to fill a hole. I think the idea of signing Santana was to let him lead by example so that the younger players could watch him and learn how to take good at-bats, take pitches, get walks, etc. Santana won’t make or break them as a contender this year, but his presence could influence players going forward. You know Joe Morgan’s career has gone down hill when he’s been been reduced to commenting on MLBTR articles. The main focus for this team is residing down in the baltimore/dc area in machado and harper. Period. Franco needs to do just enough to be traded, maybe as a piece with a hernandez or altherr, for a young starting pitcher who is mlb-ready. Santana signing wasn’t necessary and a total overpay. There was no reason to sign him. There were obvious reasons. The fanbase has been increasingly restless, the lineup needed another proven bat, and they wanted a veteran who could model/mentor the young guys, while not completely blocking any of the young guys from getting regular ABs. You may not AGREE with those reasons, but they’re pretty obvious. Add in the desire to not be tied down for more than 3 years, and Santana was pretty much the obvious choice. $25 million is an overpay, but they have tons of money. Nick Williams would be the block, with Scott Kingery to a lesser extent. Mentors can be paid $2 million, even $3 million. Not $25. At $25 he better be an MVP candidate. Santana is a reach for any MVP discussion, ever. At least Jake Arrieta has been a Cy Young winner and an ace of a contending team. Still not an obvious reason for Santana to be on that team taking at bats away from at least 1 guy the organization sees as a future piece. They would have been better off with a Curtis Granderson type guy. Kingery is on pace for 550 PA. Williams for 350. Nobody is blocked. They have metric buttloads of money, and a fanbase that was demanding it be spent. Overpaying is not a problem. Dumbest comment in any baseball comments section ever? Coming from you that means just so much. Cheers on your continued success.. The FA additions the Phils made along with success from just some of their young talent should get them into the low 80’s in W’s. Questions remain at C, SS, 3B, RF (though Kingery will probably fill one of the latter 3 positions) and the back end of the rotation. How quickly the young players develop will determine how much progress is made this year. I think they’re still one middle of the order bat and and a legit number 3 SP away from being serious contenders. Bring on the Yankees in October. It’s really short sighted to think that sognig two high priced free agents would guarantee a WS. The pitching staff still needs work and signing both Machado and Harper would remove a lot of flexibility. Just like Ohtaninwouldn’t gave been a silver bullett. Who said that? They have the payroll room to sign Machado, Harper, AND rotation help. For how long? That is my real concern. Harper has made it clear that he believes he is a $40 + a year guy and I don’t doubt he wants a long term deal on his terms. Manny…I am not so sure about but lets say both demand 8-9 years minimum. What happens when the younger core is ready for Arb or FA. Lock up those two at $80/year and then try to sign a TOR Pitcher like Keuchel? There is another 5 years at $25-30mm. I think they should continue as they have been so far…offer short term higher AAV If Bryce or Manny won’t….move own….same with any pitchers. Let me get a head start..John Middleton’s building a beach house next to Kershaw to soften him up.